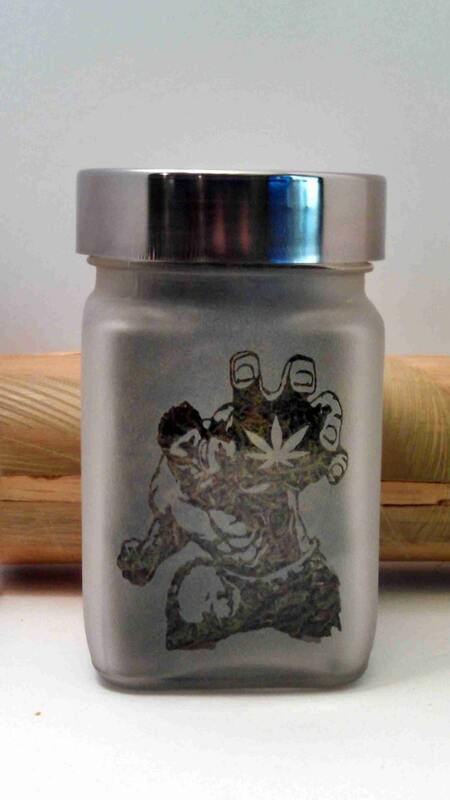 Hulk Stash Jar with Pot Leaf are great weed accessories and stoner gifts. Stash jars make cool weed gifts. Ganja Christmas Gift Ideas for Him. 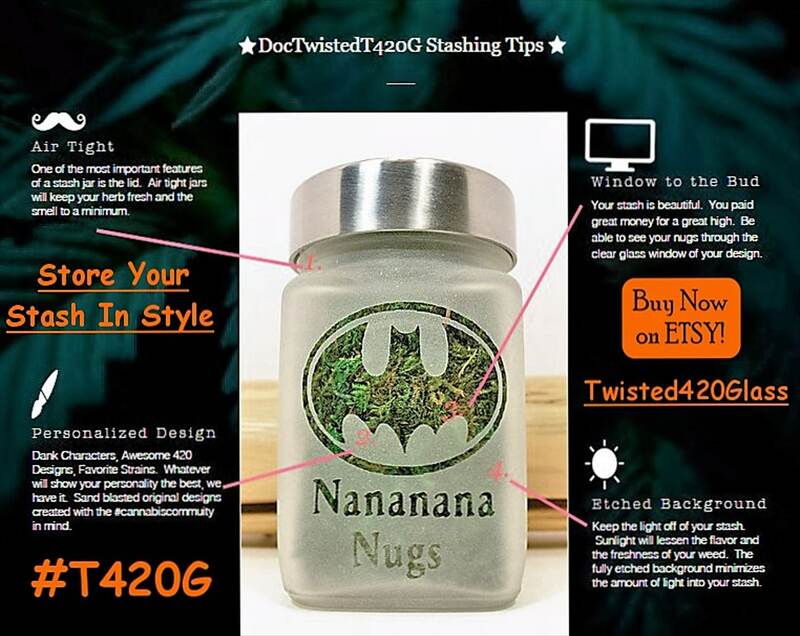 Stash Jars and weed Accessories make great Cannabis Christmas stoner gifts. 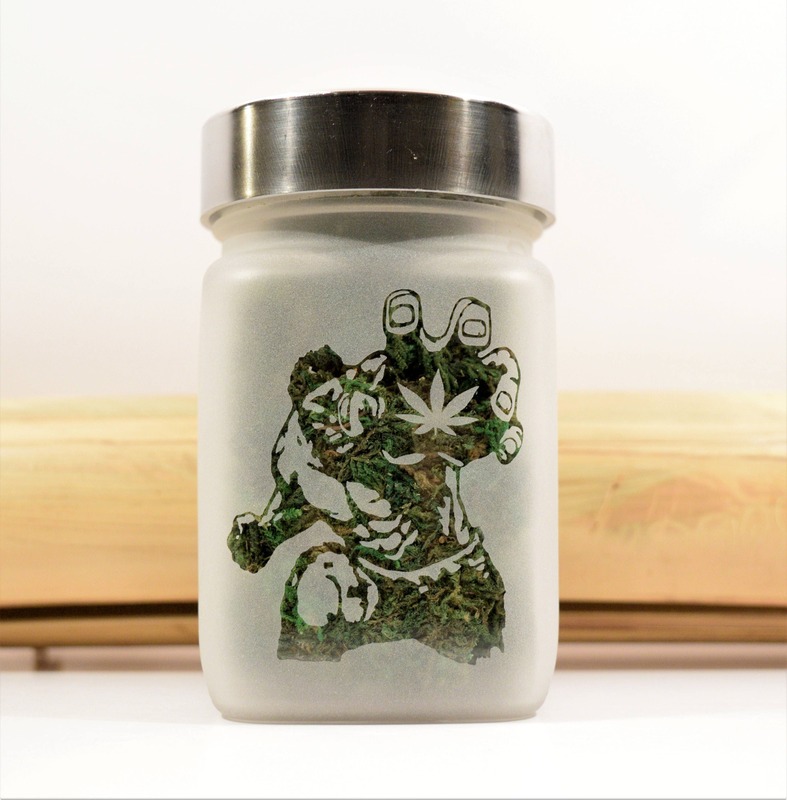 These Hulk stash jars will keep your weed, herb, ganja & medical marijuana fresh in this food grade, airtight weed stash jar with brushed aluminum screw on lid. 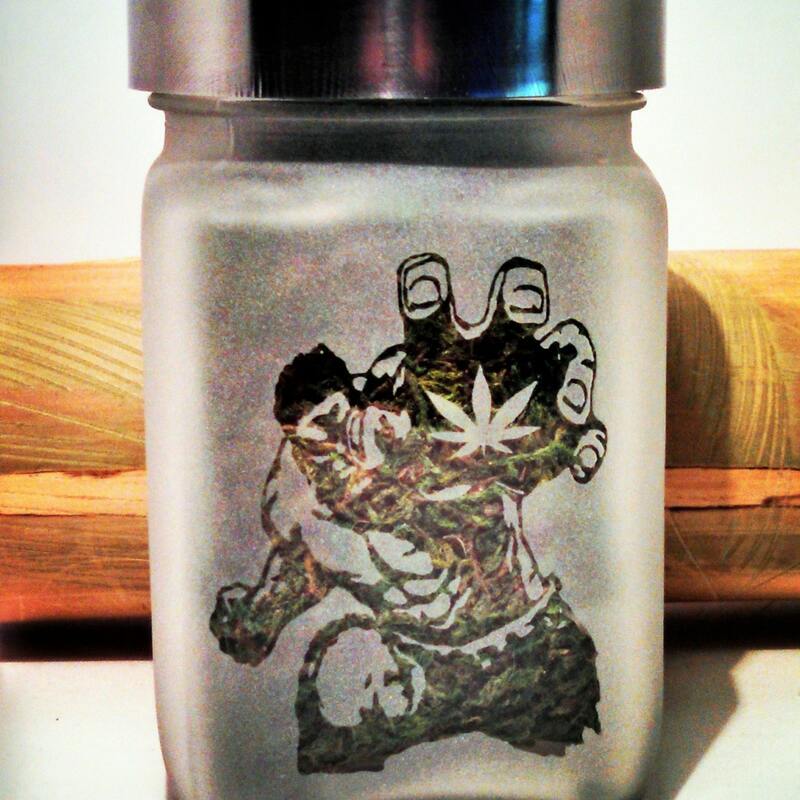 Bud Jar size roughly 2.5"w x 3.5"T.
Note: The Hulk inspired image in photo has a Green back drop. 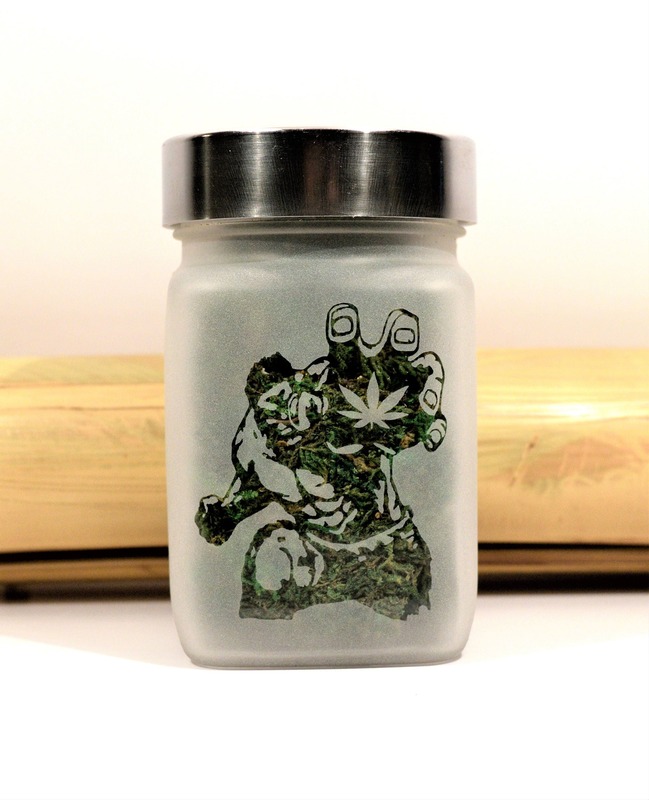 When it arrives to you the Dank Hulk logo will be clear glass. The other sides are solid etched. Quick shipping, Item was an awesome and unique gift! Thank you! I absolutely love it... gave it to my girlfriend for Christmas and she loved it, I am very happy with the purchase. I got this for my brother for Christmas. He's a HUGE Hulk fan, so I'm 99.9% sure he's going to LOVE this. I stuffed green tissue paper inside to make the design on the jar really POP. I can't wait for him to open it! Received within 3 days! Crazy fast shipping. I love it! Thank you!